Click on any images or links below to visit the site we designed for that company. Ask about our logos, banners, and corporate identity package, which includes camera ready artwork for your business card, letterhead, and envelope. Websites in the real estate agent business are important to connect buyers with the perfect house. Around Houston Web Design, we can create and manage mobile-friendly website for your company. 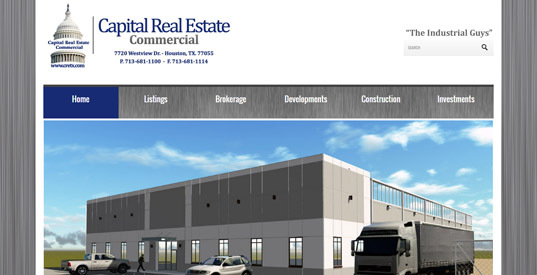 Around Houston Web Design works with you to make sure your realator website is customized to your specifications. We can even record and upload walk-through videos of houses to your website, so your customers can receive the ultimate virtual tour. Since many prospective buyers have trouble fitting open houses into their busy schedules, your company would be going the extra mile for customers. Get ahead of your competitors with a website re-design by Around Houston Web Design. A mobile-friendly website for your business is essential for customers. You want people to be able to go to your website to check out your hours of operations and menu to get them into your restaurant. In fact, when it comes to food and beverage industry restuarants nearly 70% of all searches were come from mobile devices according to a Hitwise study conducted in 2016. That's the difference between customers ordering from your local pizza parlor and Pizza Hut. 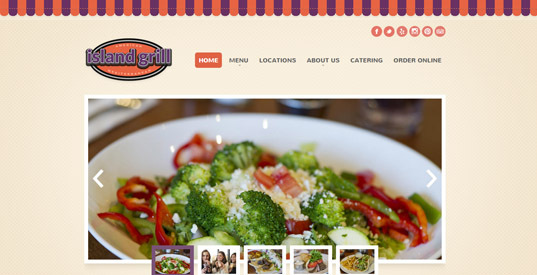 Mobile-Friendly websites can give your bbq grill joint the ability to compete with established chains. It can also separate your restaurant from the other Mexican, pizza, barbecue, Chinese, Italian, or other seafood restaurants in Houston. A website is also a necessary tool for review sites such as Google & Yelp to further build your online presence and attract potential customers. Around Houston Web Design can create the perfect site for your eatery, and we can even manage your online presence to assure tasty food is the only thing you have to worry about. Law is a competitive field, which makes it even more important to have an attorney or firm website that stands out. 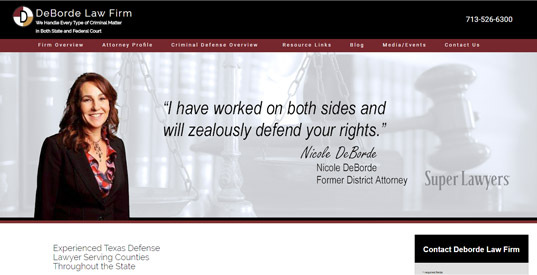 Around Houston Web Design will create a website for your law practice that separates you from your competitors. Prospective clients will use your site to verify your professionalism as a lawyer. Don't put your business at risk of search rankings penalization with an unengaging site. Let Around Houston Web Design promote & manage your web presence and craft the best image for your law office business to attract ideal clients.